I’m still working on my video which will explain Newton’s law of universal gravitation. As I write this I can hear my computer rendering the first sequence of the animation as Professor Mac drops two apples from high up on the launch pad tower. I use the Blender software for modelling and animation. It is an amazing piece of software and is free to use. 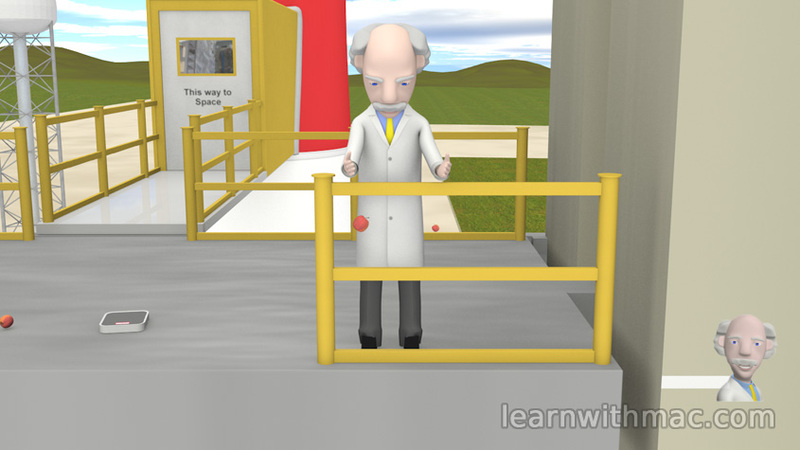 It includes rigid body simulation and I’m using this to model the drop of the two apples under the action of gravity. 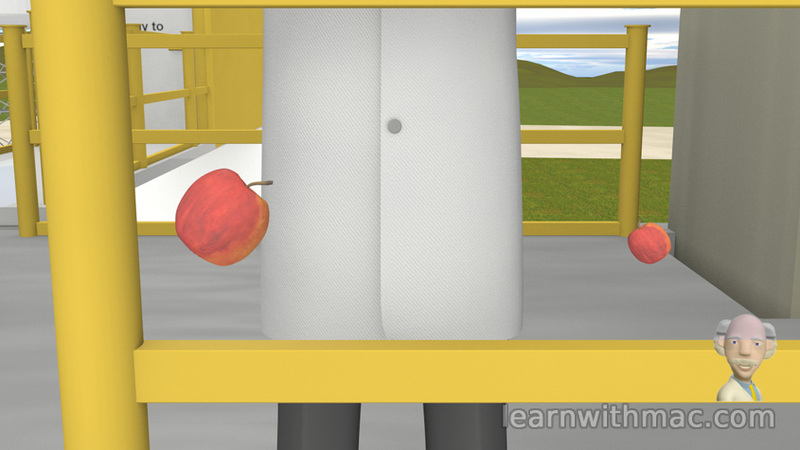 Rigid body simulation is where the computer calculates how objects (in this case the apples) move under the action of forces. The weight of an object is the force due to the attraction of the object to Earth (the video will explain it in more detail). So by using the rigid body simulation tools in Blender I can get the information on the position of the apples as they fall under the action of the gravity force. The animation sequence is just a number of stills which are played back in rapid sequence (25 images per second) to give a moving image, and the result is what we call video. In a ten minute Professor Mac video I have to generate fifteen thousand separate images and then stick them together to create the video! Fortunately the computer does most of the work. However I have to create the keyframes which determine the flow of the story, and this includes the poses of Professor Mac and the movement of objects in the scene. So for the drop of the apples from the launch pad, I determine the starting position of the apples, and then let the computer calculate the motion of the apples as they drop and bounce off the ground before coming to rest. The two apples are different sizes and Professor Mac will explain that, despite this, both apples will hit the ground at the same time. What I was particularly interested in, as part of the rigid body modelling, was to see if Blender would predict the apples hitting the ground at the same time. So, I have just checked how the rendering is getting on and yes it does. Both apples hit the ground at the same time. Two apples dropping under the action of gravity. I now just need to do some fine tuning of the camera positions to get the dramatic shot I want. Oh yes… I am the camera man as well! Such is the life of an independent animator. How do you like my rocket?